When you work with SharePoint 2010 and BDC Service application when you try to create an External Content Type, you might come across this error. 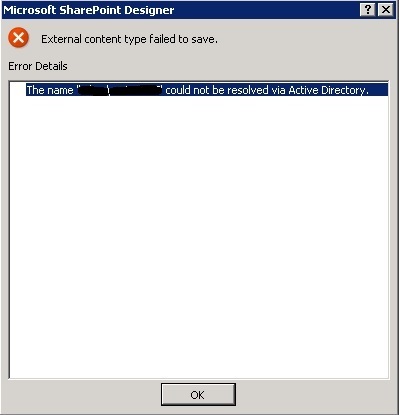 This is because the person who had created the Content type is not present in the Active Directory. He/she may have left your organization. 4) The user listed in the error will be listed here. 5) Select the user and remove him/her. 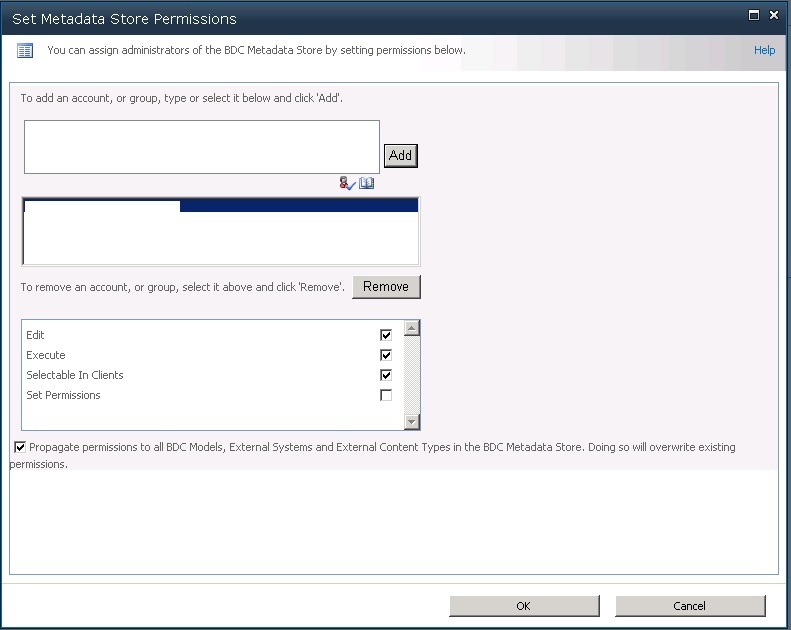 Propagate permissions to all BDC Models, External Systems and External Content Types in the BDC Metadata Store. 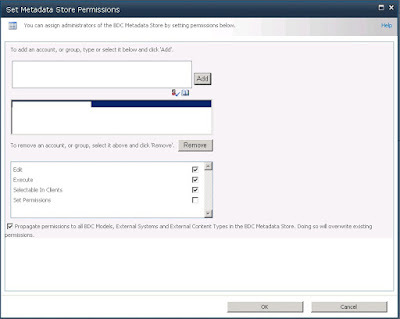 Doing so will overwrite existing permissions.